Coming from Houston, I almost always take Hwy 90 west out of San Antonio. It's scenic, and most of the highway is wide open country. I love the drive between Del Rio and Big Bend. There's little traffic. There are plenty of spots to pull over if you'd like to enjoy the scenery for a bit longer. If you can make your schedule work, plan on spending the night in Del Rio. Then, leave Del Rio just before sunrise. As you travel west, you'll get to see the landscape bathed in early morning light with the sun behind you. Others have commented above regarding scenic spots along the way. It's fun to take your time and explore as you go. 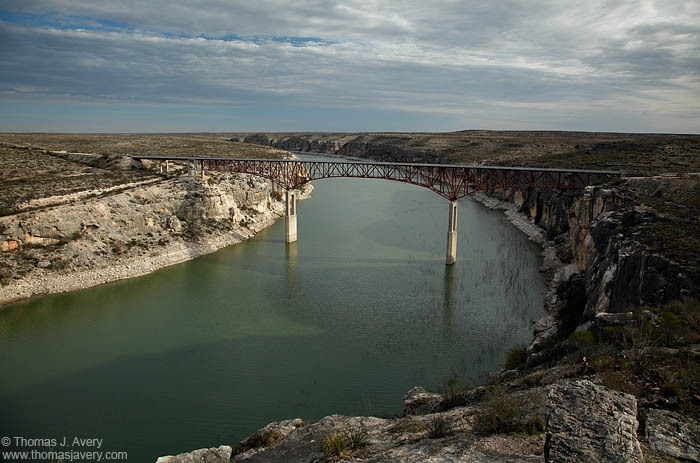 Lake Amistad is beautiful, but there are not a lot of places to easily pull over and see the lake. It's just nice driving through the area and crossing the long bridge as you head west. 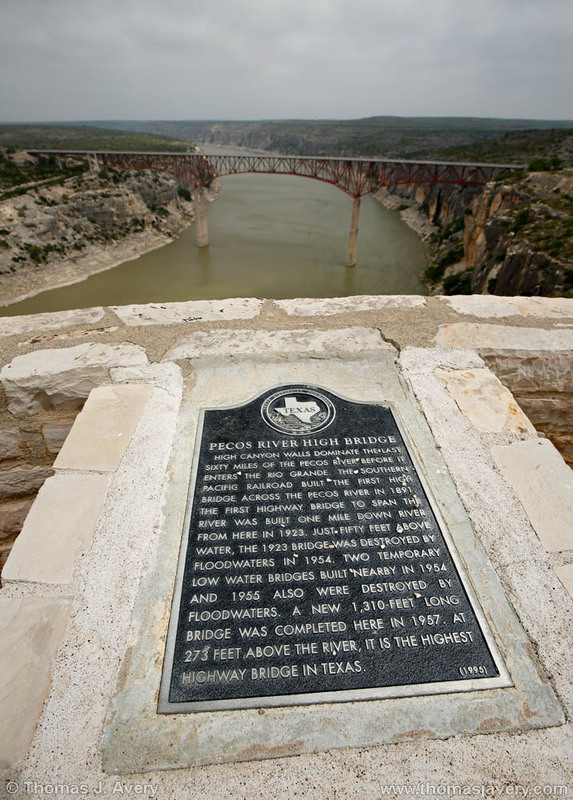 Definitely stop at the Pecos River Bridge. There's a place to pull over just before you cross the bridge. Also, about 1/2 mile before you reach the bridge (headed west), look for a turn off to your left. I believe there is a sign there showing a picnic area. That turn takes you on a small road that leads up to a high viewpoint over the bridge and the canyon. Seminole Canyon State Park is a neat stop if you have time to wait for a scheduled tour of the rock shelters. Just before you hit Langtry (headed west), you'll cross a bridge with a sign that states Eagles Nest. It's a neat little canyon. Park on the south side of the road after crossing the bridge and then walk back to the canyon rim. Thanks for all the suggestions -- option #2 is the winner. Thanks also for the detailed info TJ; that'll come in handy.